Guests choose to vacation on Peter Island for any number of reasons, but at the heart of each lies one important factor - Peter Island is a private island, with all the exclusivity and romance that provides. Located in the British Virgin Islands, Peter Island Resort combines the sophistication and luxury of a private island retreat with the relaxed, understated elegance of the British Virgin Islands. Whether you come to actively explore the island and the surrounding British Virgin Islands or to return to a secluded beach everyday of your stay to nap, read and completely unwind, Peter Island is the right choice. This is the largest private island in the British Virgin Islands. It is surrounded by the sparkling waters of the Atlantic Ocean, Caribbean Sea and Sir Francis Drake Channel. This 1200 acres lush mountainous terrain is only accessible by boat or helicopter and makes for the perfect destination for guests seeking a serene and romantic hideaway. Peer Island was twice named among the "Best Places to Stay in the World" by the readers of Conde Nast Traveler magazine and one of the "World's Best Small Hotels" by the readers of Travel + Leisure. 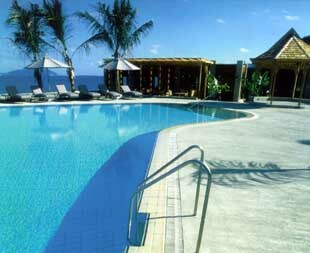 Peter Island has 52 guest rooms and two villas; there are never more than 116 guests on the island at one time. 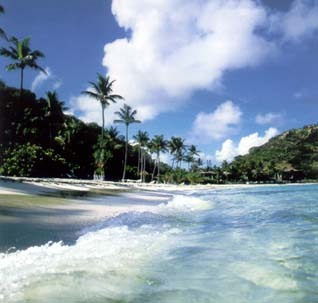 The predominance of open, undeveloped land is unsurpassed, creating an atmosphere of natural beauty unique to Peter Island. There are 20 Beach Front Junior Suites which have undergone a $3.2 million renovation. Each features a comfortable sitting area, large Spanish tiled bathroom with Jacuzzi tub and oversized shower and a private terrace or balcony with spectacular views of Deadman's Bay Beach. There are 32 Ocean View Rooms in a poolside A-frame cottage with a sitting area, separate bedroom, full master bath and panoramas of Sir Francis Drake Channel from a balcony or terrace. The Hawk's Nest Villa is positioned above the yacht-filled harbor and Deadman's beaches. These villas offer two spacious bedrooms and baths, a living room, full kitchen and large private sundeck. The Crow's Nest is a four-bedroom, five-bath villa atop a hill that juts out into the sea, with panoramic views of the bay, boat-filled waterways and the necklace of Caribbean Islands in all directions. The Crow's Nest is equipped with its own staff: a steward, maid, gardener and chef. Guests also have exclusive use of an island rover. 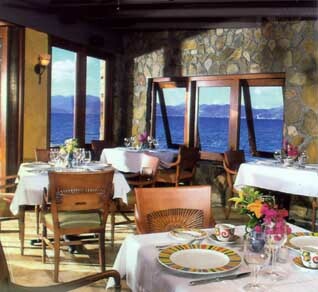 Peter Island offers a varied choice of dining possibilities. The Tradewinds offers versions of West Indiana dishes and updated Continental classics. A view of Drake Channel and neighboring Tortola Island are visible through the large windows. The Tradewinds pavilion also serves daily al fresco lunch. The Wine Room displays 300-400 bottles of wine in climate-controlled cabinets. This area is available for private and specialty dinners. Deadman's Beach Bar and Grill shaded under a cedar shake room serves casual lunch and dinner menus just steps from the beach. Drake's Channel Lounge - a tiled "island" bar serves a variety of tropical drinks, including the BVI's signature Painkiller and Peter Island Connection. And - there is the White Bay Picnic Lunch, a gourmet feast complete with fine linens, china and flatware, served to guests "stranded" on White Bay Beach. Island staff delivers the basket directly tot he beach and collects it at day's end. There are five private beaches on Peter Island. Deadman's Bay is a mile-long crescent shaped, white sand beach with towering coconut palms overlooking pristine Dead Chest and Salt islands. Little Deadman's Bay attracts yachts worldwide and is a popular snorkeling spot. Honeymoon is the resort's most intimate beach, with just two lounge chairs beneath a single thatch hut. Big Reef Bay stretches three quarters of a mile and is a brilliant, shallow reef idyllic for beach combing and sunset walks. A fitness trailwinds along the palm-lined beach. White Bay is favored for its privacy and views of Norman and St. John islands. Snorkeling here is the best on the island, where fish literally eat out of extended hands. It is also popular for picnic lunches. Water sports such as snorkeling, wind surfing, sailing and kayaking are in addition to the island's 20 tranquil coves to be explored. 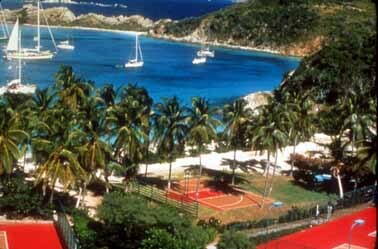 There are four tennis courts, horticulture tours, scenic hiking and biking rails, water sports instructions, deep-sea fishing, yacht charters, scuba diving, bareboat sailing, shopping and golfing on St. Thomas, 12 National Parks Tours, day trips to The Baths of Virgin Gorda. A full time water sports instructor is on site for free instruction and guidance.